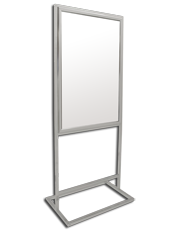 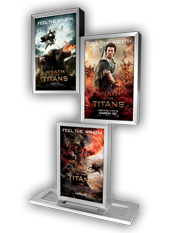 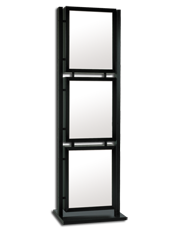 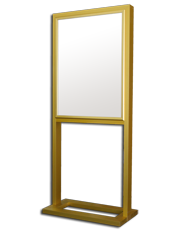 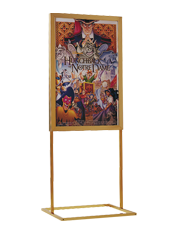 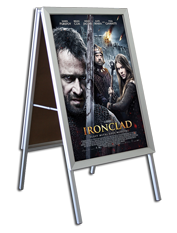 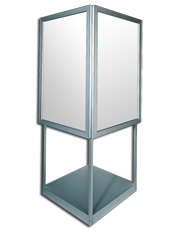 Freestanding frames are single or double face poster displays with integral floor stands. 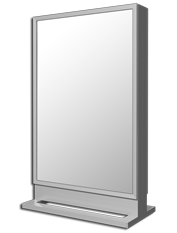 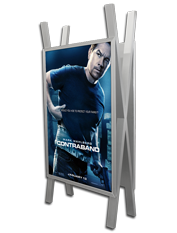 Freestanding poster frames can be either backlit using either conventional fluorescent lamps or energy saving LEDs or non-illuminated, and are available in sizes to display either a 27” X 41” conventional size poster or a 48” X 70” bus shelter size poster. 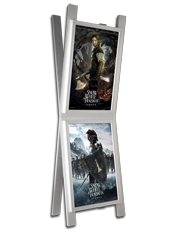 These poster displays are for indoor use only.